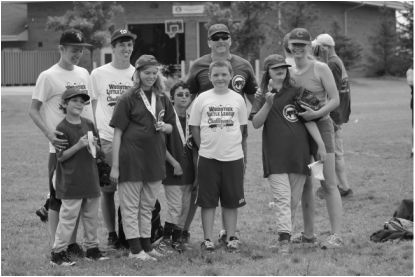 The Challenger Division was established in 1989 as a separate division of Little League to enable boys and girls with physical and mental challenges, ages 4-18, or up to age 22 if still enrolled in high school, to enjoy the game of baseball along with the millions of other children who participate in this sport worldwide. Today more than 30,000 children participate in more than 900 Challenger Divisions worldwide. This year we are also announcing the Inaugural Season of Senior Challenger Baseball. This new league was established to enable older people to play the game of baseball in the same manner that the Junior League is played. Challenger Teams are set up according to abilities, rather than age, and can include as many as 15-20 players. Challenger games can be played as t-ball games, coach pitch, player pitch, or a combination of the three. We are looking for volunteers for the Challenger League from coaches and managers, to buddies, to parents just wanting to help us out. If you are interested in volunteering, please contact Rochelle Donahue at rochelledonahue@comcast.net. Volunteers over the age of 18 will need to fill out a background check form. See the forms page for all available forms.